So long Polar Vortex. I think that I speak for all of us in saying you won’t be missed. Okay, so maybe it’s a little early to pull out the swim trunks and grilling tongs just yet, but we are definitely 24 hours closer than we were yesterday! Spring and summer are on the horizon, great adventures and moto memories await! When it comes to moto-specific garments geared for maximum protection, functionality, and comfort, the Rukka line rides sidecar to none. With apex materials and technologies such as Gore-Tex Pro with Armacor, SuperFabric, Outlast, and more, there is not a paved (or un-paved) road on the planet that they have not thought to prepare for. From the rigorous evaluation of every kind of material employed in their manufacturing, to the legion of professional testers who put the prototypes through their paces in the field, no expense is spared in delivering the end consumer with some of the most robust moto garments in the world. As daydreams of warmer weather begin to abound in the minds of motorcyclists in the Northern hemisphere, Rukka is ready to introduce the coolest moto jacket in their line-up… ever. 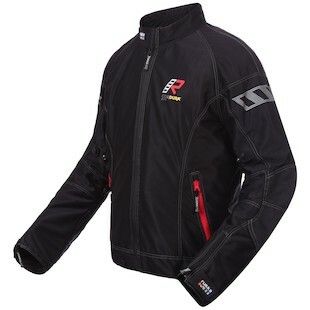 The Rukka AiRider Jacket is the newest addition the Air Power + series. With the shell of the jacket constructed out of a knitted blend of Cordura AFT fabric, it will enhance rider comfort in hot weather by flowing 1.8 times more air than regular Cordura. However, great airflow does not have to necessitate a regression in protection as each offers comparable levels of resistance against contact with the tarmac. Because of the fabric’s unique properties and capabilities, it is utilized on all of Rukka’s AirPower Technology Collection. The largest difference between the AiRider and similar products such as the Airwave, AirMan, and AirComet, is that the former will forgo the Gore-Tex liner that can be found on the three latter models. In choosing this option Rukka has decided to make the jacket lighter, simpler, and in the end, more focused on keeping riders cool in hot weather. As with all Rukka moto gear, the AiRider will come with D3O Air Protectors at the shoulders and elbows as well as a pocket for an additional back protector to be purchased separately. As the new year progress it will soon be time to re-pack the heated gear and beefy winter wear in exchange for something a little more in-tune with the warmer riding season. With a long lineage of highly specialized, thoroughly researched, and meticulously crafted moto gear to their name, Rukka looks to prepare you for every climatic circumstance. 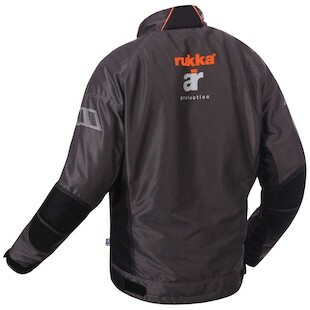 So fret not over those icy winter windshields and biting below-zero breezes, for spring and summer are just around the corner, and when they arrive, greet them with an appreciative smile and the new Rukka AiRider Jacket.